Famous soccer manager Jose Mourinho came to Neymar’s defense this morning, well sort of.. 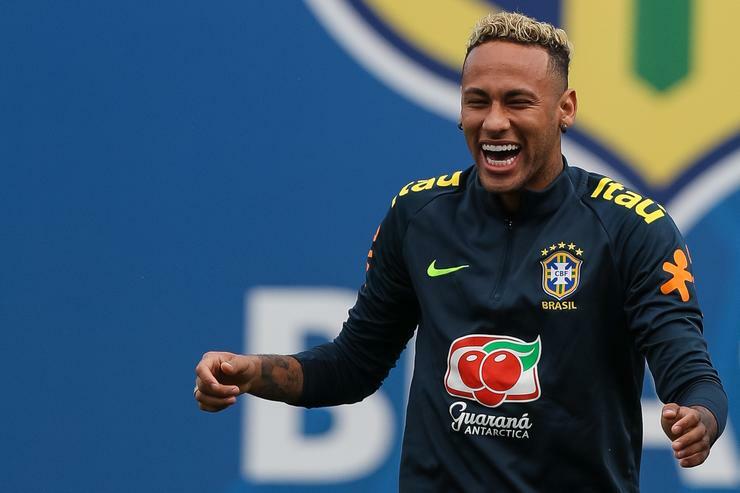 The Brazilian striker has been accused of complaining to the refs, going down to the ground on minimal contact, and for getting the skin of his well-meaning opponents. The “flopping” or “diving” as they say in Europe has inspired a host of memes, some of which you can view in my meme roundup of the World Cup Round of 16. In the spirit of disseminating the blame, the South African chapter of KFC released a commercial which as you’ll see, takes a passing shot at all the floppers in the World Cup. Their recreation bears an uncanny resemblance to the play where Neymar got his ankle stepped on against Mexico in the Quarterfinals. The KFC commercial shows the play on the field developing until a “red shirt” takes an unnecessary tumble and starts flailing all the way to the sidelines. Eventually the “flopper” ends up rolling all the way out the building, through a patch of desert, a busy market place, leaping to his feet once he finds a KFC restaurant that sells his favorite Streetwise 2 combo dinner.